Mangaluru, Jan 22, 2017: A team of four police officials from Australia will visit the city to investigate the murder of software engineer Prabha Shetty, 41, who was stabbed to death in Sydney on February 21, 2016. The officials are now in Bengaluru. Australian police will visit Prabha’s hometown Amtur in Bantwal during the weekend. Prabha’s family, including her brothers, has been intimated by local police, sources said. 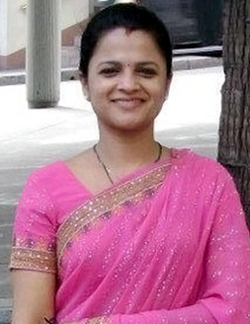 A senior technical analyst with Mindtree, Prabha was living alone in Strathfield, Sydney. An unidentified miscreant had attacked her when she was walking home from office around 9 pm. Her valuables, including her vanity bag, wallet, mobile and gold chain were found to be intact, hinting that robbery may not have been the motive. Prabha was stabbed at a distance of barely 300 metres from her residence, and according to family sources, she was speaking to her husband Arun Kumar at the time. "Chinnu nange stab madidru..(Dear I am stabbed) were the last words spoken by her," sources added. A senior officer said Australian police have questioned more than 4,000 people, including habitual offenders, muggers and dacoits with a history of robbing pedestrians, but to no avail. They have also prepared a list of phone calls made to Prabha from Bengaluru and other places in Karnataka. "They have drawn up a list of 15 mobile numbers of people who were in constant touch with her," sources said. Australian police will now question the 15 people, including Prabha’s family members, colleagues and friends in Bengaluru as well as her hometown in Dakshina Kannada. They strongly suspect she was murdered for a personal reason, sources said. CID sources said Sydney police, who collected footage from three different CCTV cameras, had zeroed in on a man in his mid-30s, who was wearing a brown leather jacket and cap. "Prabha had alighted at the Parramatta rail station, from where she travelled to Westmead through Argyle Street. The man had followed her from Parramatta station," sources said.